Flow of time and spatial transformation. 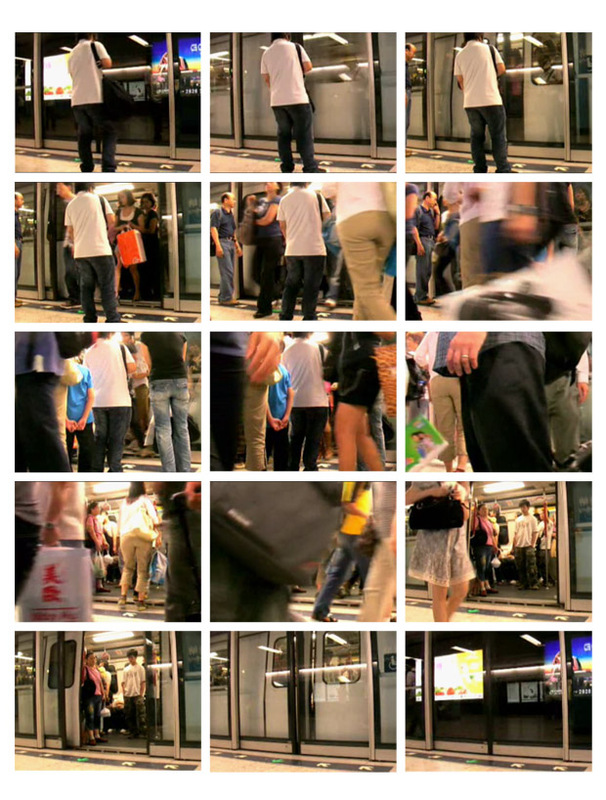 A long take in the platform of an MTR (metro) station at the doors with people going in and out. Time goes fast and slow. Space are integrated and separated, dense and loose. 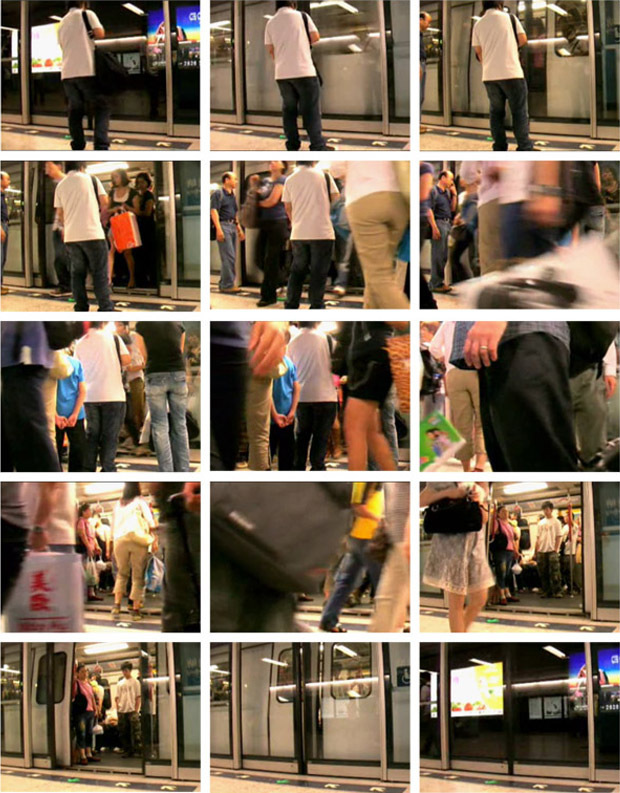 The relation of time and space interact with people weaves a symphony of city life.